Discussion in 'Creative Zone' started by awney, Oct 25, 2018. I saw an interesting art meme going around a while ago on where artists show the different types of eyes they draw. I thought this would be an interesting topic. So, how do you guys draw eyes? Do you make them simple or complex? Colorful or not? I threw that together pretty quickly so the layout isn't the nicest. But as you can see I love sparkly and shiny eyes. I never have a black pupil and I make sure to put lots of high lights! I've had someone tell me my eyes remind them of gems. Depends on the character I’m drawing. For bigjaw, the yes have two forms. Tame and chill is when his pupils are big which make him come off as friendly even though he looks like a 1 ton monste gator. However, when he’s more savage and feral , his pupils become extremely thin. I think that adds a intimidation factor to him. The bigjaws from stories will reflect this but I was hoping that I could reflect this ind resigns as well. My eyes are usually parallelogram shaped with small, but not tiny, black pupils. The actual colors of my eyes are usually bright and vibrant blues and greens, with the occasional purple. I did that meme too! 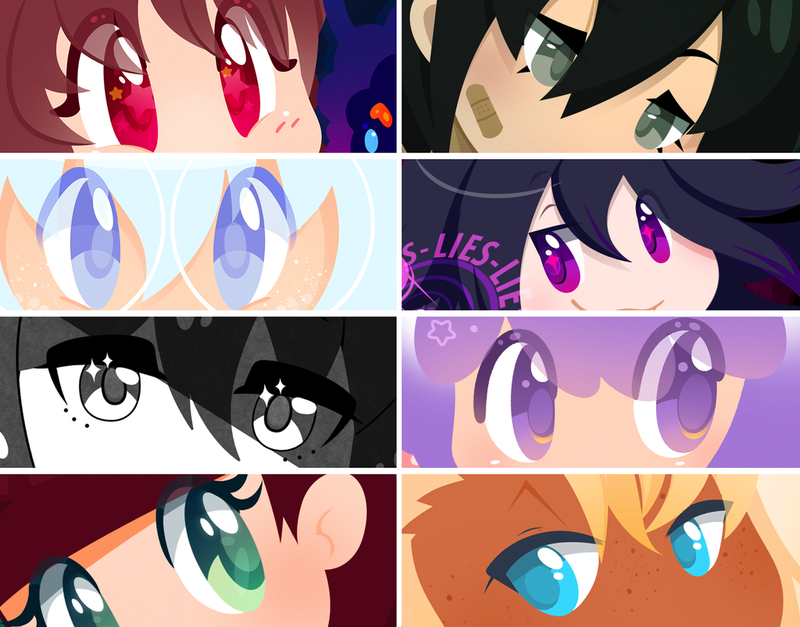 The eyes I use on humans is unashamedly anime with sparkles! For animals and Pokémon it varies. I love animesque looking eyes and love making the colors pop using different gradients and subtle reflective light beams/bubbles. I don't draw my eyes any particular way, mostly because I have so many different art styles. Sometimes I'll go for a more realistic look to my eyes, but other times they'll be simple dots. I am very inconsistent and still trying to figure out how I am supposed to draw and do eyes. Depends. If it's human then I normally do one eye and cover the other part of the face with hair so I don't have to draw the other lol.